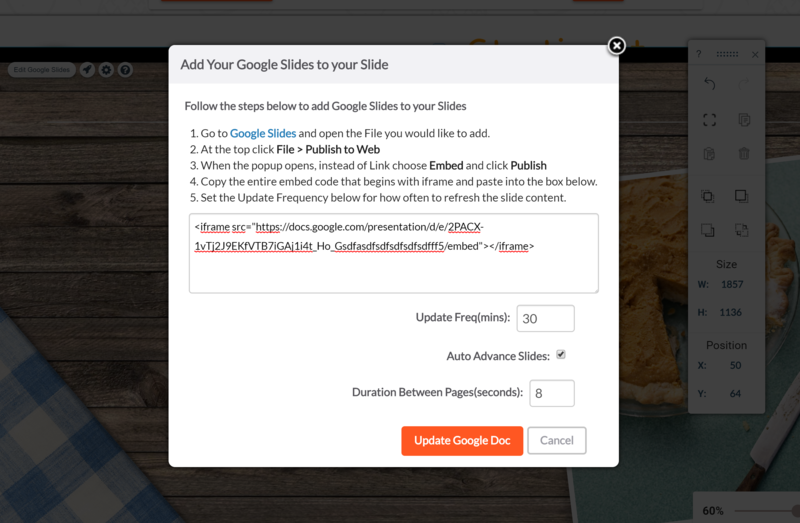 If you are trying to add Google Slides, Sheets, or Slides to your sign you will need to publish the content and retrieve the Embed Code, the below instructions will help you publish them so that your slides can be shown on your signs. 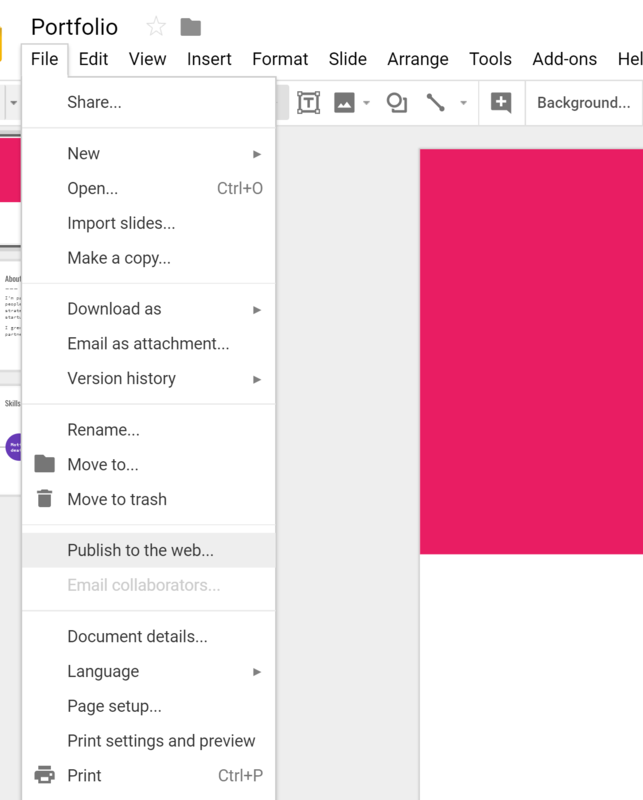 Go to Google Slides, Google Docs, or Google Sheets and open the File you would like to add. Once you click on publish to the web, then when it asks if you are sure you want to publish the selection, click yes. Don't worry about the Auto-Advance or other options, we can set those in the MangoSigns editor. 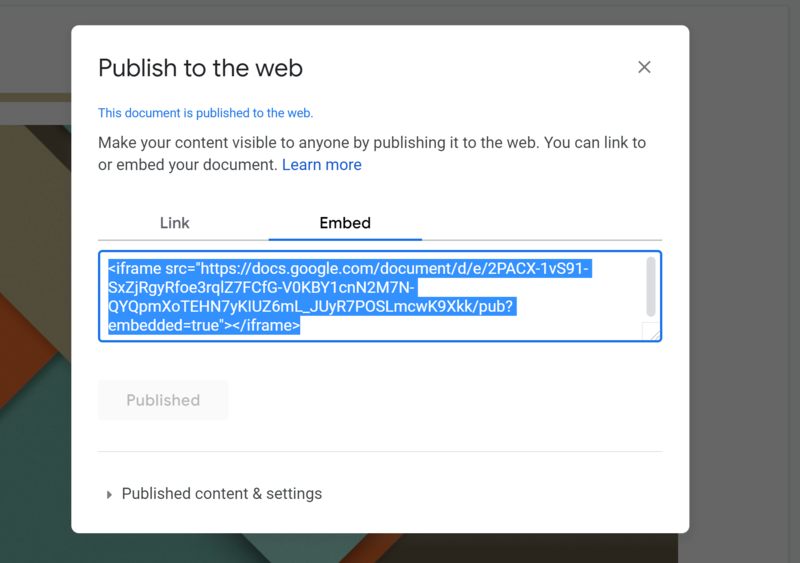 Now select the Embed Tab and copy the code from the Embed Section to paste into the MangoSigns Editor. In the MangoSigns editor, this is what you will paste to include your Google Document on your slides. Once you click Insert Google Doc, it should be added to your slide!